Fast forward twelve months and there may be a slim chance that you’re reading this January review. 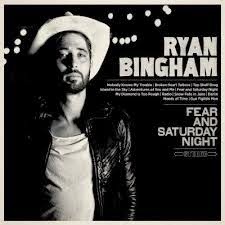 However there is a far greater probability that you’re still listening to FEAR AND SATURDAY NIGHT, the fifth and potentially greatest impacting major label album to date from Ryan Bingham. Settling in a new recording regime but still possessing that fearsome harsh vocal style wonderfully breathing life into the vivid canvas of his surroundings, Bingham leaves a giant imprint on the world of country, roots and Americana music. Like all great albums, expect a slight foray into rock and the intrinsic lyrical style of folk, with a sprinkling of Tex-Mex to reflect his Texas/New Mexico roots and wider western background to his upbringing. 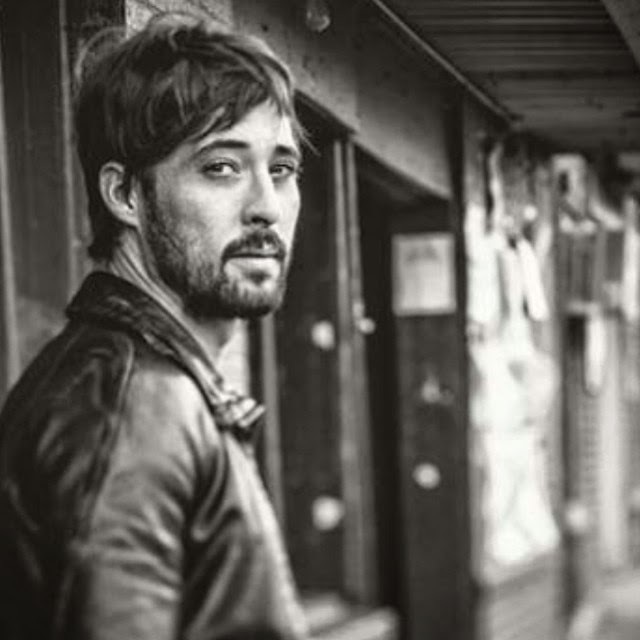 Ryan Bingham received most acclaim for the track ‘The Weary Kind’ written for the motion picture Crazy Heart which interspersed his four previous albums, getting the nod at both the Grammys and the Oscars. There is so much of this inspirational style across the new record probably peaking in the superbly constructed ‘Snow Falls in June’, a wondrous metaphorical effort showcasing the fertile song writing of Bingham. In fact all twelve tracks are self-penned originals and benefitted from that songwriter’s solace of solitude while they go about extracting every sinew of creatively mined substance. The brace of songs selected to open this 52 minute serving of indulgence are indicative of the album’s content and take you right to the heart of Bingham’s craft. ‘Broken Heart Tattoo’, an harmonica laden chat to an unborn child has been the chosen track to promote the album but its sequential predecessor ‘Nobody Knows My Trouble’ takes you straight to the core of where Bingham uses song to bare his soul. You get visions of a barren land through the landscape of the songs and though they can be perceived as dry, the vocals are far from arid. This project sees Bingham in total control and in the safe producing hands of Jim Scott (Tom Petty, Wilco).The assumed autobiographical similes are in full flow by the time we get to ‘Top Shelf Drug’ and you sense the frustration in Bingham’s voice proclaiming ‘My Diamond is Too Rough’. Musically the album rocks in places especially in the strong chorus attaching itself to ‘Radio’, while an accordion led border sound and a Spanish count-in heralds the transcontinental road song ‘Adventures of You and Me’. There will no doubt be mutterings of Dylan and Earle in Bingham’s style but how about a shout out to Indiana troubadour Otis Gibbs who equally masters and harnesses the gruff sound. Sound wise the guitar is undoubtedly king with enough twang to appease the country contingent, harmonica the blues brigade and a general across the board mix to have the Americana world drooling. The recording holy trinity of sound, vocals and lyrical content are all present in the highest order and the latter being blessed with an incited implicitness. Since striding onto the scene in 2007 with his MESCALITO debut album, Ryan Bingham has attracted many plaudits without playing to a gallery shaping the direction of his music. Like his life in general, the musical career of Bingham as fluctuated in its order and structure but FEAR AND SATURDAY NIGHT might prove to be the release that cements the place he wants to be. This record will run and run with no-one knowing where it will end up, though bets are off that it will have the wider industry bestowing praise on it.